When I first moved to Australia I was amazed at how mince tarts were everywhere at Christmas. 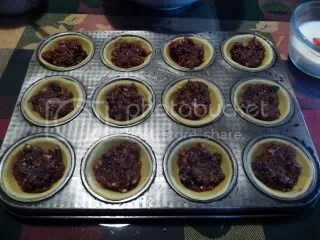 When I was a kid, mince pies were something my mom made at Thanksgiving or Christmas to accomodate the old people in my family. I don’t know that I ever tried my mom’s pie because I was turned off by the word “mincemeat”. So, imagine my surprise when I tried a mince tart my first Christmas in Australia and found out that- Hey!- I actually liked them. 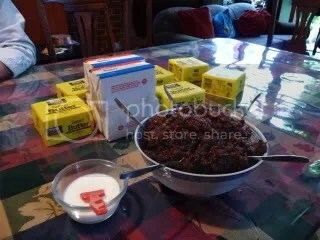 Last year, my last Christmas in Australia before moving back to the U.S., I had the privilege of participating in Mince Pie Making Day at Brendan’s house. He and I worked on a radio show together and every year he invites friends and co-workers to his house to assemble hundreds and hundreds of mince tarts. Everyone gets to take some of their handiwork home. Brendan's kids helped show us the way to the "factory". A lot of butter and a big bowl of mince were there to greet us. 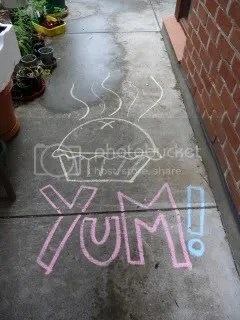 Brendan and Nicki's mince recipe is a tightly guarded secret. Brendan's wife, Nicki, was the pastry roller extraordinaire. Everyone takes a turn at the table filling their trays with mince tarts. 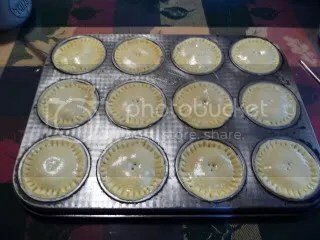 A tray of tarts ready for the oven. We kept the oven quite busy. 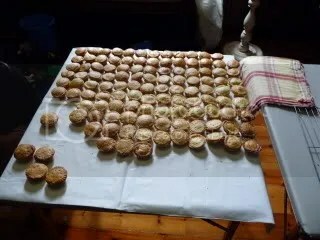 We made almost 60 dozen tarts. 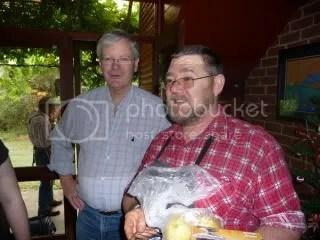 Bruce and Brendan, my buddies from Gastronaut on Radio Adelaide. 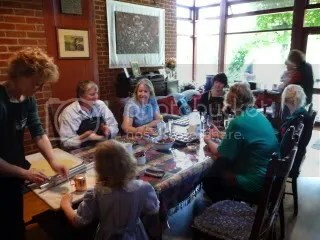 The table for the finished tarts. For some reason the kids really enjoyed playing in here! 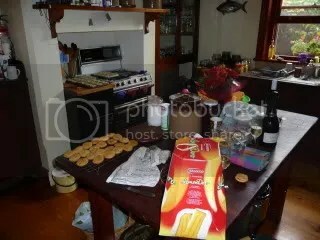 This entry was posted in Australia, Baking, Holidays and tagged Christmas baking, holiday baking, Mince tarts, mincemeat. Bookmark the permalink.